This basic crochet pillow pattern is the easiest ever! All you need to know are a chain stitch and a single crochet – that’s it. I do have a super special technique for you using this pillow pattern – watch out for that in the next couple of days! Okay, I’ll give ya a sneak peek…. Ain’t that the cutest? 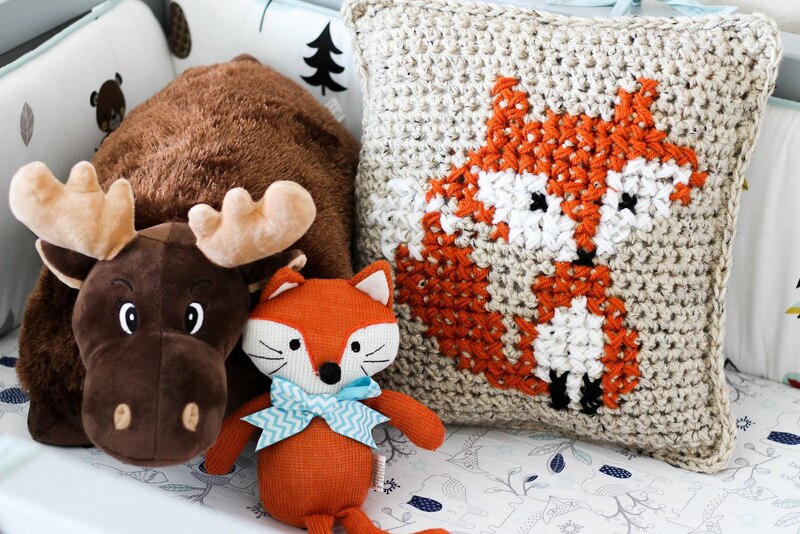 More on that soon.EDIT: CLICK HERE to see my tutorial on How to Cross Stitch on Crochet & this easy fox design! 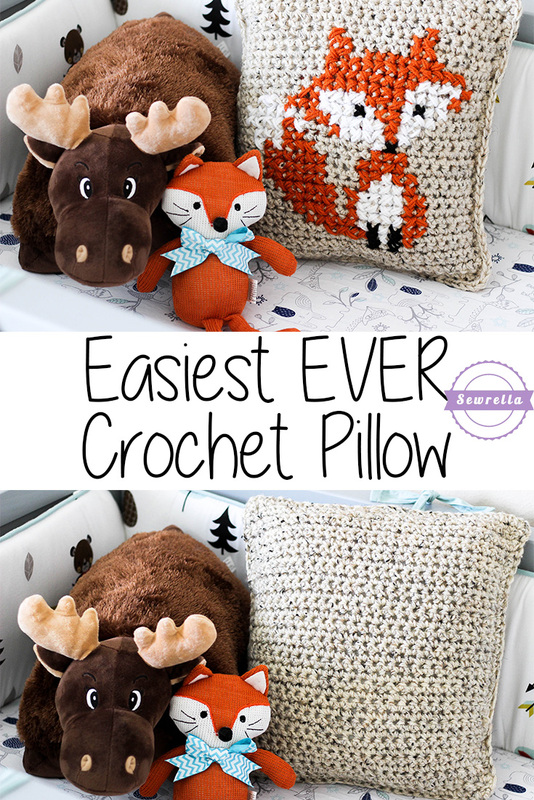 For now, lets make this simple crochet pillow! Here’s the handy video tutorial too! -Pillow Form 14in. by 14in. You’ve now made one side of your pillow cover. Repeat the entire above pattern to make the other side of your pillow cover. Do not finish off your yarn on the second side. Sc the front and back (two sides) together around the perimeter of the pillow covers, working 3 Scs in each corner. I worked around the first 3 sides (looks like a large pocket at this point) before inserting my pillow form and Sc down that fourth side. The video tutorial above should clear up any confusion you have on stitching together your pillow cover! Finish off, and weave ends. 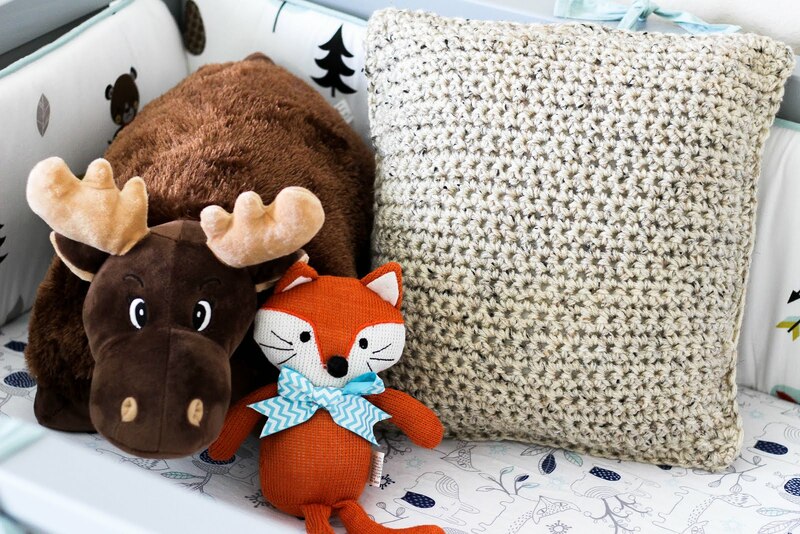 Be sure to watch out for my cross stitch on crochet tutorial coming soon – you can stitch an image onto your pillow for a totally customized design!EDIT: CLICK HERE to see my tutorial on How to Cross Stitch on Crochet & this easy fox design! Thanks for hanging out with me, I’ll see ya back here soon!